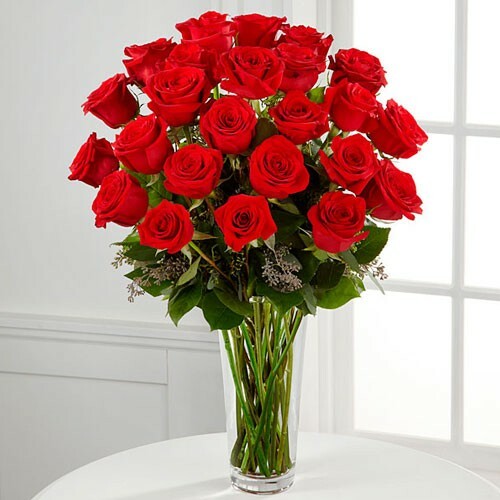 One of our top selling item is this simple and chic arrangement of 24 red roses in a classy glass vase. These Classic long-stemmed roses speak of love and will be a spectacular surprise for someone special. It doesn't get more romantic than this!